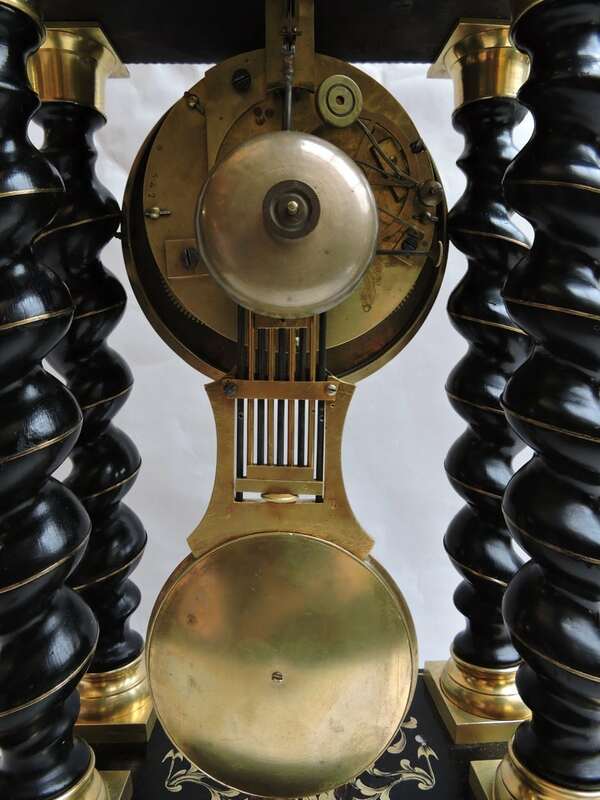 Home » Products » General » An Early 19th Century French Empire Boulle Portico Clock. 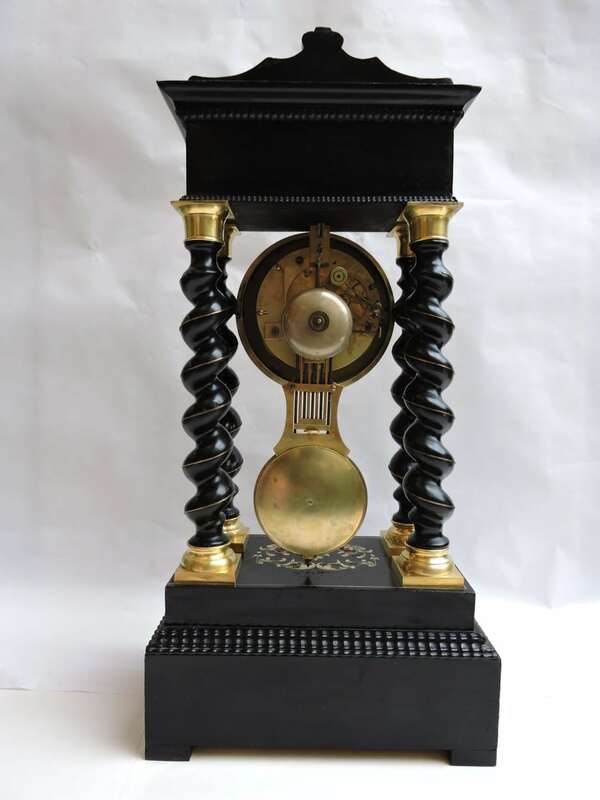 A beautiful portico clock that features Boulle work inlay (brass, mother of pearl & tortoise shell) along with 4 twist carved columns with bronze mountings. 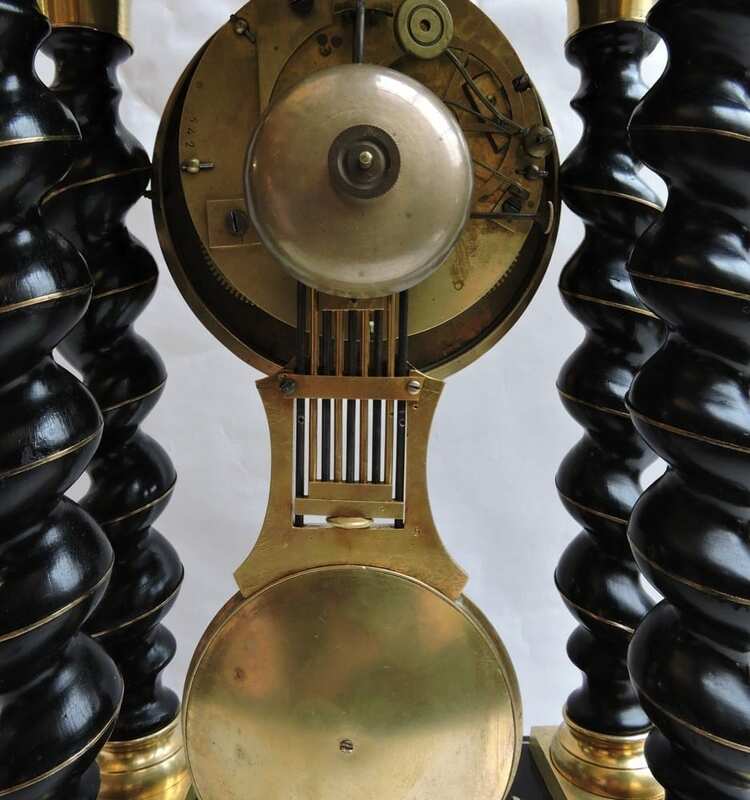 The face is white enamel and the pendulum is also brass. 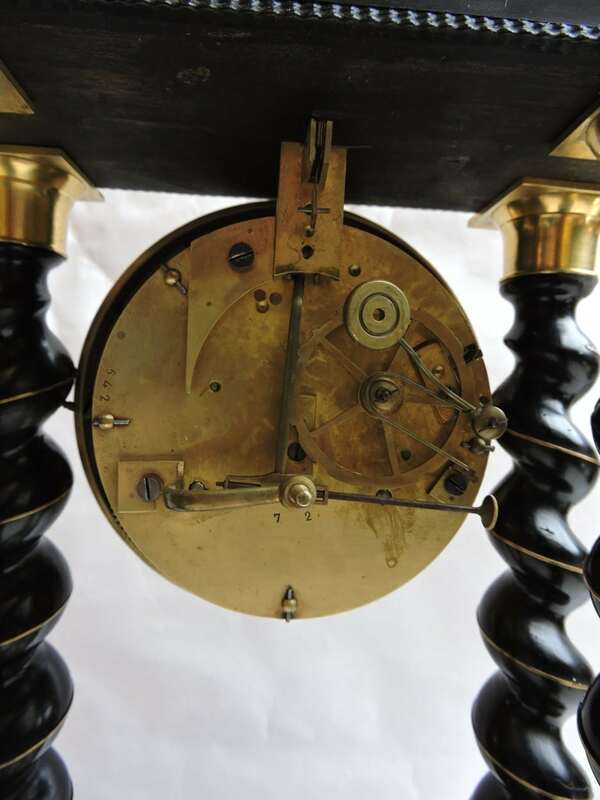 The pendulum features a ‘beat adjustment’ handle which allows for easy balance adjustment of the pendulum. French Empire period – early 19th Century. Excellent Condition. 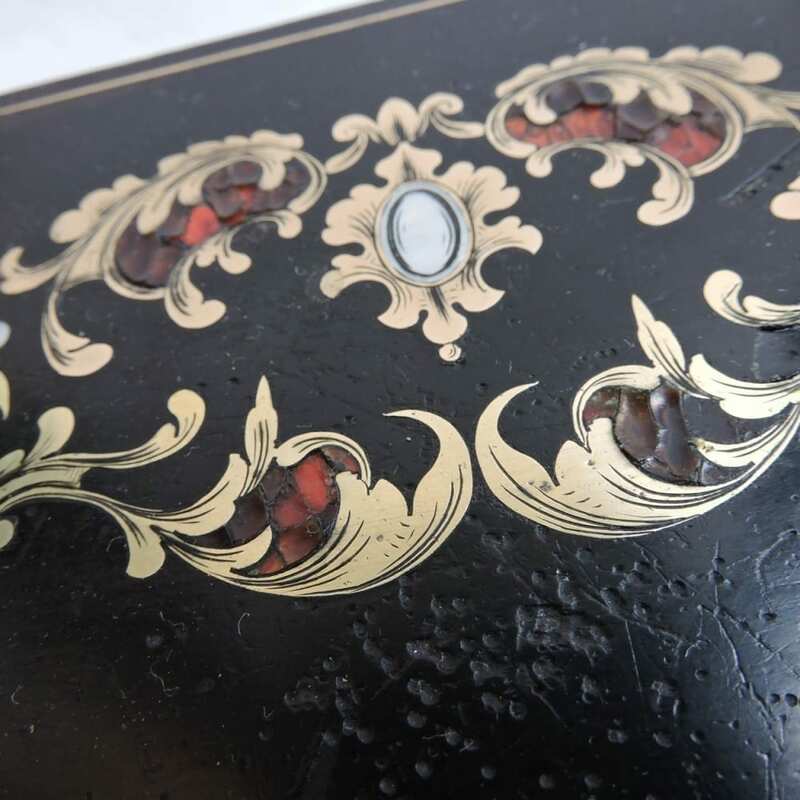 Minor lifting of tortoise shell inlay. 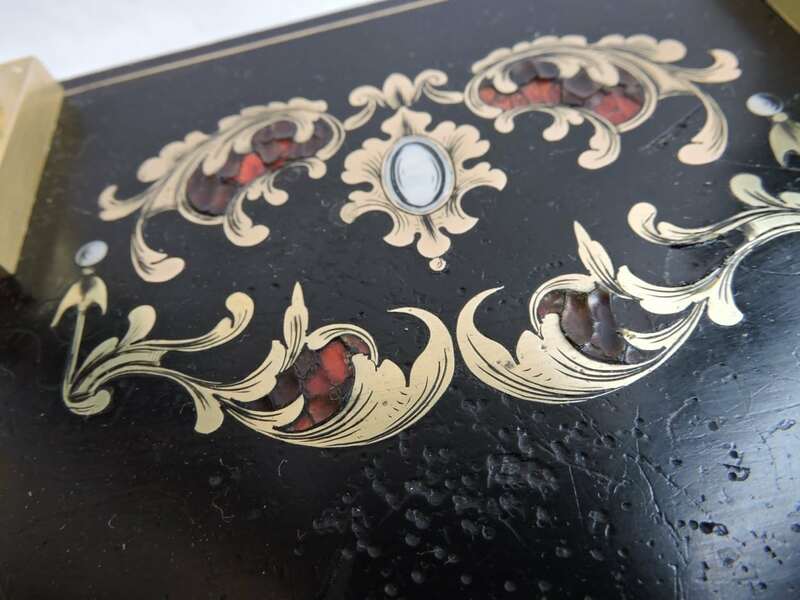 Product ID: 64745 Category: General. 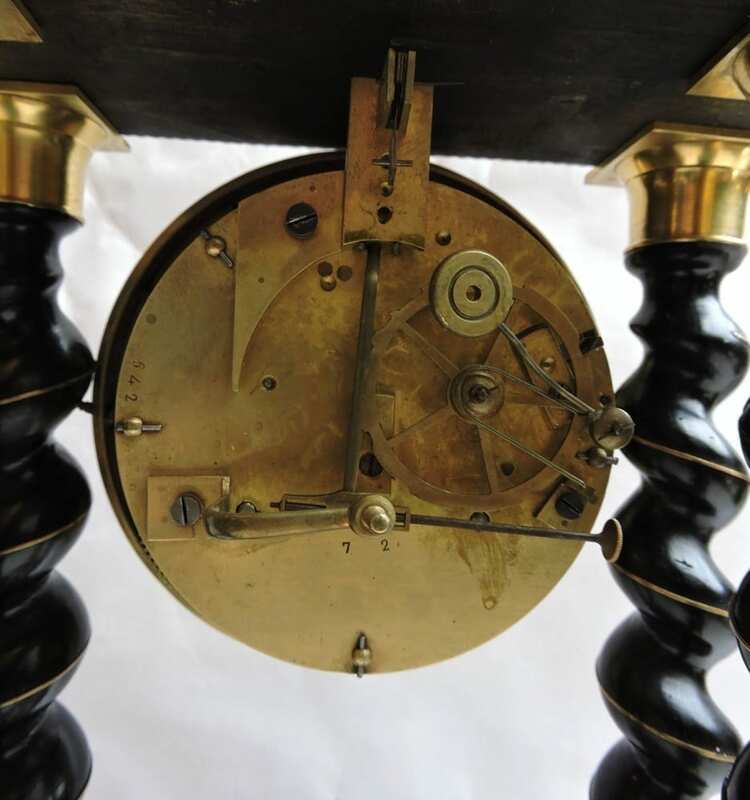 A 19th Century French Empire Portico Clock with Brass Inlay.